When the surgery is closed and you need a doctor, please phone 111 for all non-emergency medical needs. This number is free to call from landlines and mobiles, although you do need 1p credit on your mobile phone. Pharmacies can often offer advice and guidance for minor ailments. 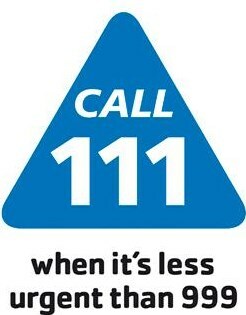 NHS 111 offers advice on self-management of illness.